Use the Explore Scientific T-Mount Adapter for astrophotography or imaging through your telescope. 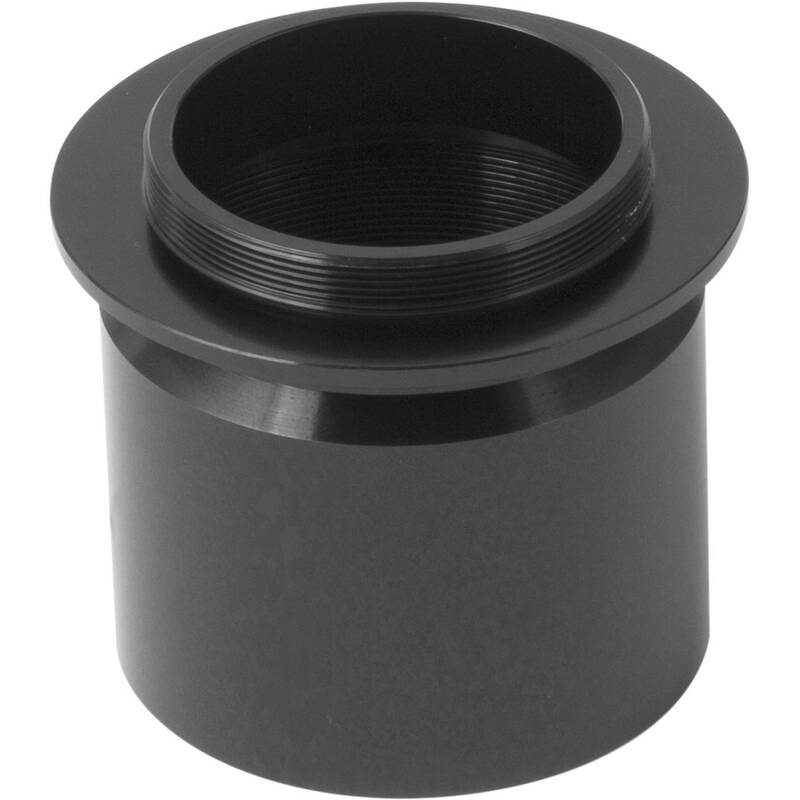 On one side it is outfitted with a 2" snout to fit into larger focuser drawtubes or accessories such as diagonals or coma correctors, and on the other it has standard T-ring mounting threads. A camera-specific T-ring is required for proper use, and is available separately. Box Dimensions (LxWxH) 3.25 x 3.25 x 2.1"
T-Mount Adapter (2") is rated 2.5 out of 5 by 2. Rated 1 out of 5 by John from Does Not Fit All 2 Eyepiece Holders Exterior diameter of the adapter is 2.04 and it will not fit my Astro-Tech 72ED with 2 eyepiece holder. Too bad I am stuck paying for a return on an item that doesnt work as advertised.